Two years ago, the Art Law Foundation launched a new series of lectures entitled The Art of Contracts. This series aims, on the one hand, to critically analyse contracts used in the context of transactions, services and performances related to art, whether by artists, collectors, galleries, auction houses or museums and, on the other hand, to contribute to the development of this practice by proposing model contracts that can serve as a basis for artists and actors in the art market. 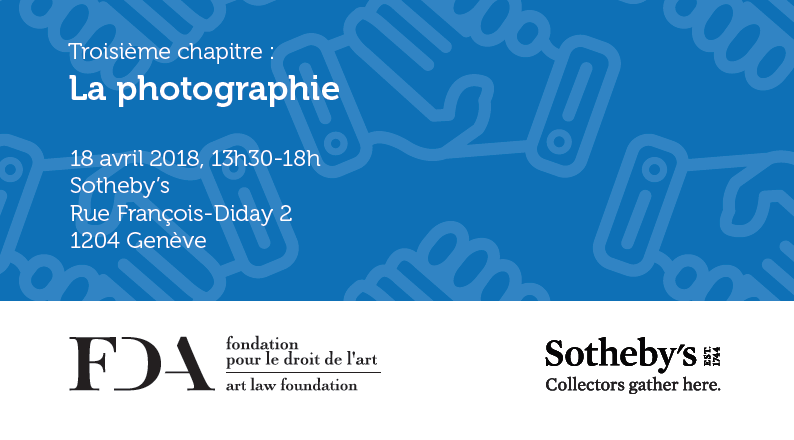 It aims to expose the activity of a photographer and analyse the rules of law and contracts that apply to photography.